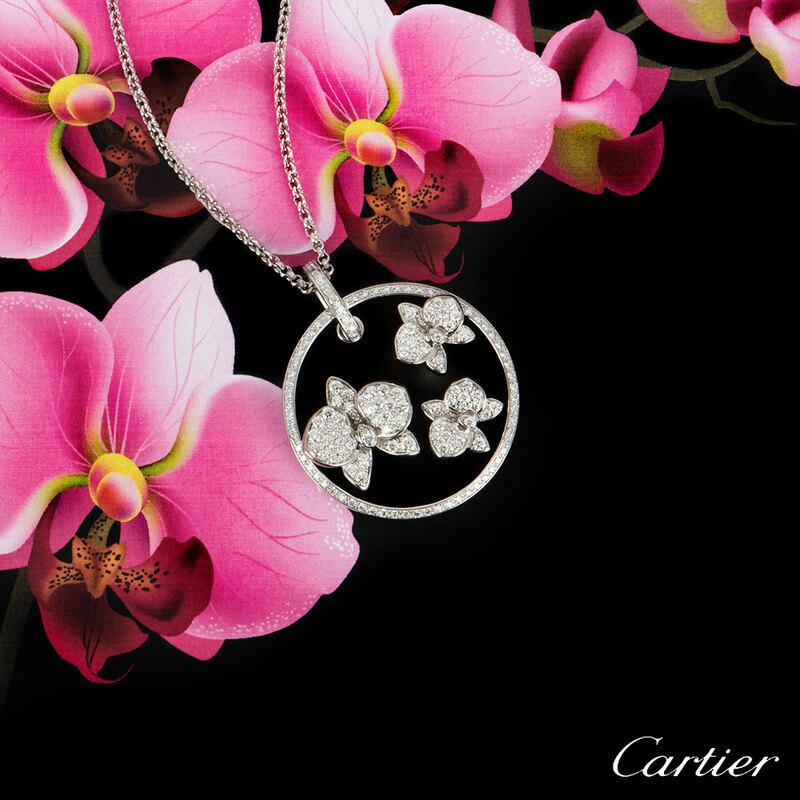 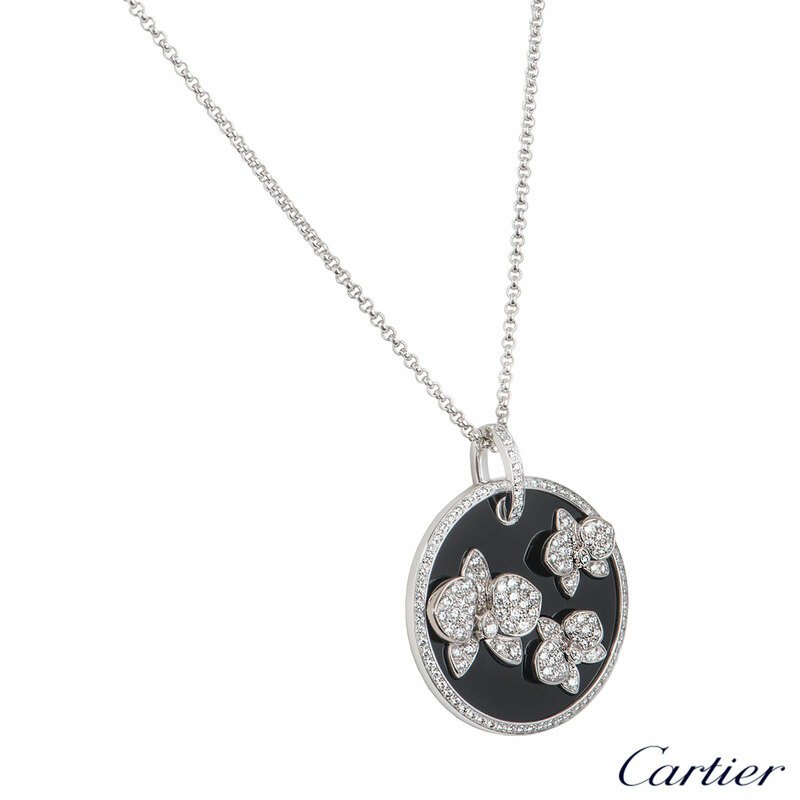 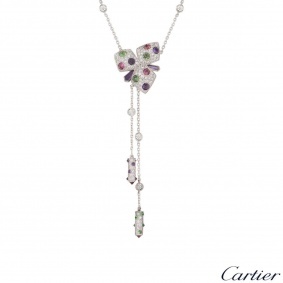 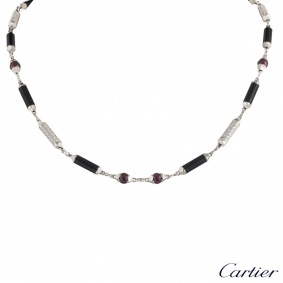 A beautiful 18k white gold diamond and onyx pendant by Cartier from the Caresse D'Orchidees collection. 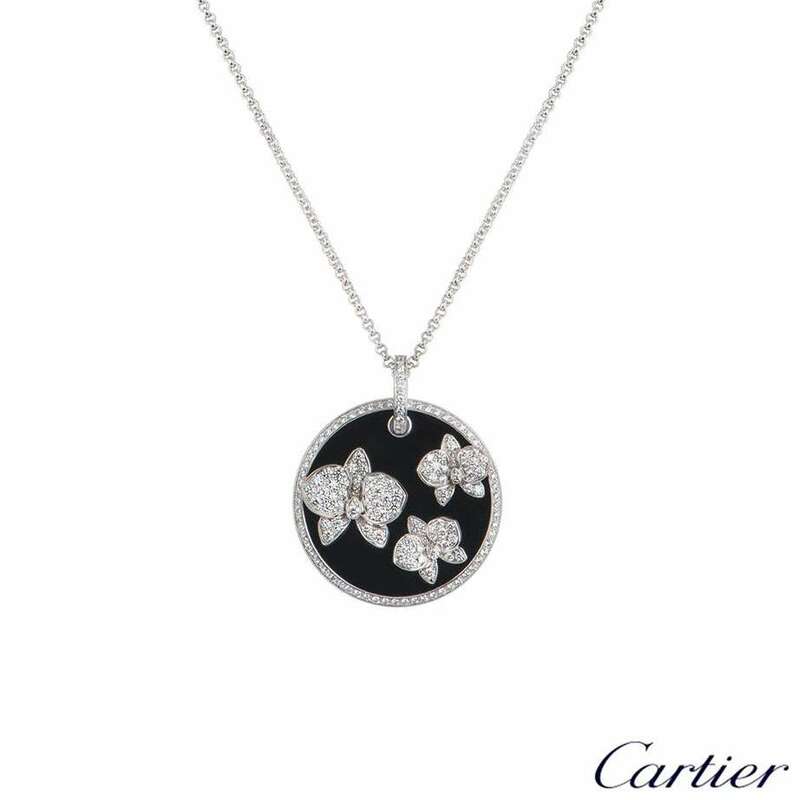 The pendant comprises of a circular onyx motif with 3 orchid motifs pave set with round brilliant cut diamonds. 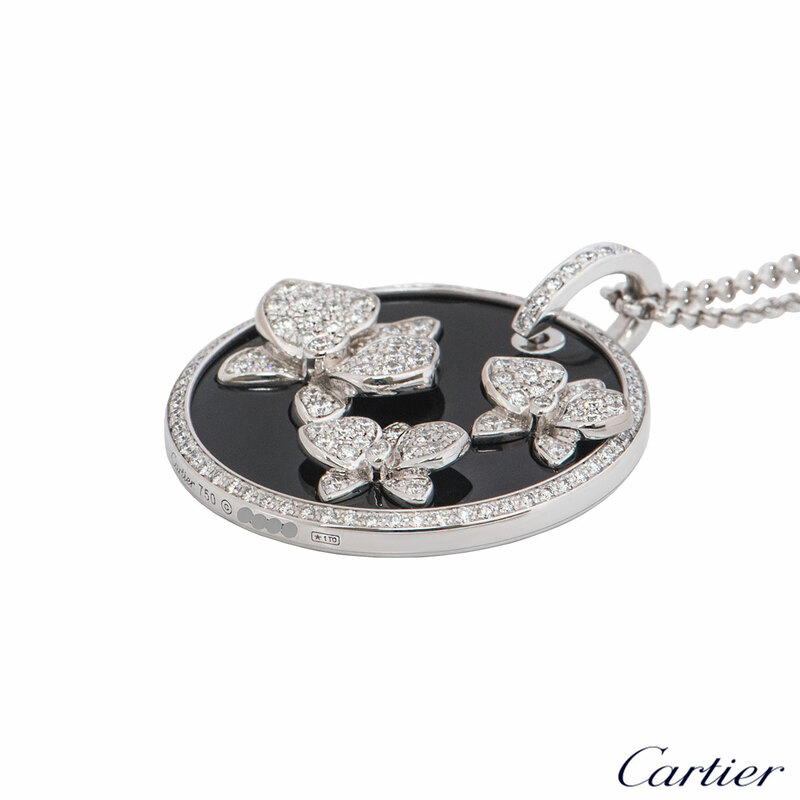 The pendant has 146 round brilliant cut diamonds with a total weight of 0.81ct. 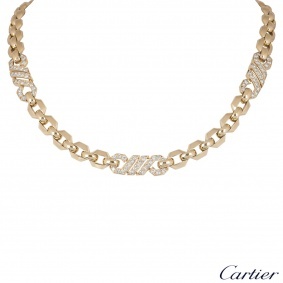 The necklace features a box clasp fitting with a total length of 31.00 inches and a gross weight of 21.70 grams. 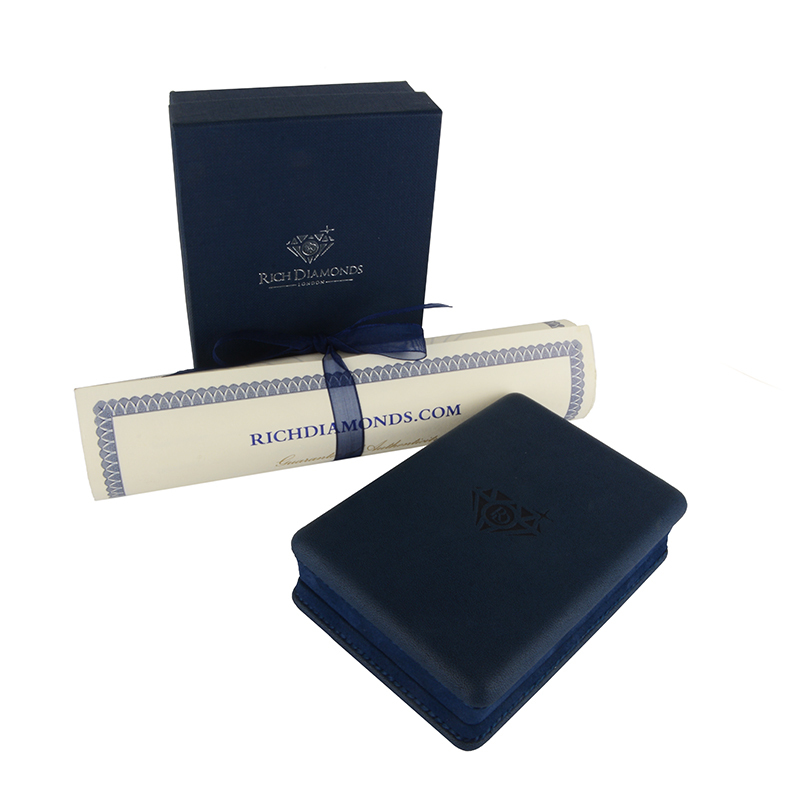 The pendant comes complete with a RichDiamond presentation box and our own certificate of authenticity.